Restoration of 18th Century bench. Pine. I was commissioned to repair a series of 18th century benches by the York Conservation Trust. The benches where saved from destruction in the 1950’s and had been sitting in storage since then. 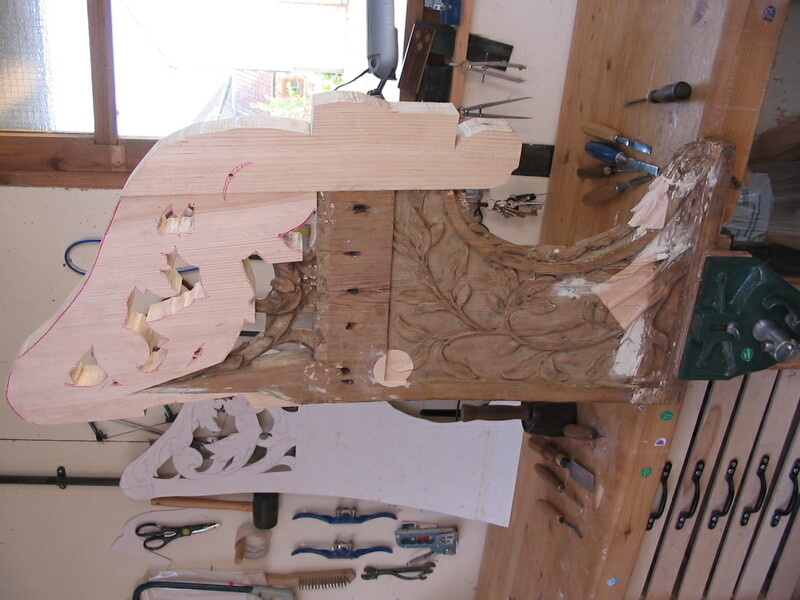 All missing parts where replaced by gluing in new sections of pine and carving in to match the existing work. The pine was glued into place using Rabbit Skin glue and in weak sections reinforced by thin wooden pins for added strength. 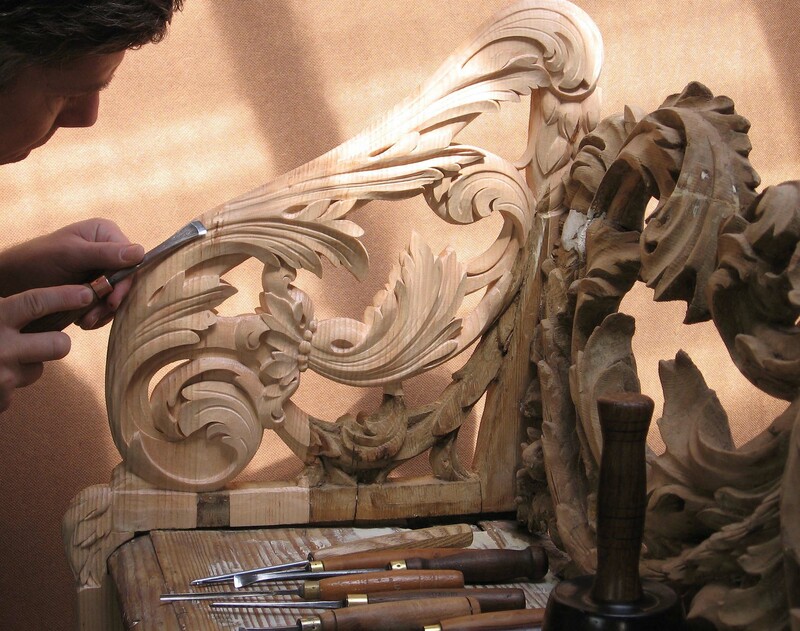 On the image shown, the one piece of new carving has 9 joints all cut at different angles to fit into the existing bench so as to remove as little as the existing as possible.